Human nature has not changed, within some broad parameters, across history. When I first became interested in topics such as ancient philosophy twenty years ago I recall being struck by the contemporary relevance of thinkers such as Aristotle. Previously my focus has been on the natural sciences, where the dead were just names, whose ideas had often been superseded and extended. And yet when it came to ethics and moral living the philosophers and religious thinkers who flourished 2,000 years ago seem to have arrived at the primary issues at the general level, though progress and change occurred on the details (and continues to occur). Explicit non-egalitarianism is hard to sustain with popular one-person-one-vote democracy. The closest you get is a kind of meritocratic rationalization, or divide-and-conquer by the elites (or the reduction of democracy over time). Do you think democracy will dissipate over time? In some ways we do or did seem to be heading towards more non-democratically responsive systems, like the attempts to tie everything down with treaties and bureaucratic rules at the international level. I won’t recite all the problems everyone sees with democracy. Perhaps Confucianism can ameliorate some of them? Nice thought. Thank you. 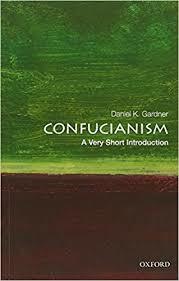 Breaking of egalitarianism could mean Confucian class system with total order between people, or simply fragmentation without total order. Total order corresponds to industrial or military organization; while fragmentation is bubbles and detached communities with their own culture. I think the latter is a better description of contemporary development. Explicit non-egalitarianism is hard to sustain with popular one-person-one-vote democracy. 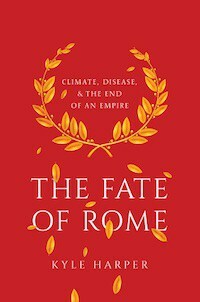 the roman *empire* maintained republican *forms* for decades after the transition. David “Spengler” Goldman has been saying that for almost 20 years. Have you expanded in greater detail anywhere (something along the lines of) what you mean by this? that’s because that was the original spengler’s thesis about whta fundamentalism was. good point. need to think more. i think we’ll see a shock in the late 2030s. the new oligarchy will maintain the forms of the post-ww 2 republic, but the long 20th century will be over, and the america we grew up in will pass into memory…. 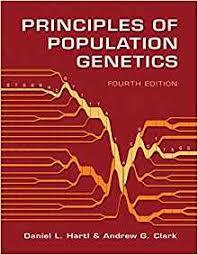 But will the test for one’s place in the heirarchy be oral, written, or genetic? And will there be math? I’m not sure that islamic assertiveness and violence is a sign of the cultural irrelevance of Islam. Demographically speaking Islam is on the rise, especially in Africa. And the muslim youth seems to be very conservative, even reactionary, when compared to the past generations. 1) total fertility is crashing in the middle east. african muslim fertility is closely matched by xtian fertility. 2) the survey data don’t really support the idea (check WVS) they’re more conservative. what has happened is that modernization has brought a lot of conservative rural ppl into the mainstream and marginalized the urban super-elite who were the only ones the western public was interacting with. The reason I find Confucianism, et. al. interesting is that these ethical and political theories are not dependent on set metaphysical theories. This is the exact reason Aristotle is more useful today than Plato, and ancient Western philosophy as a whole is more useful than its Indic counterparts. Until you hit the Neoconfucians and the Buddhists they argued against, Chinese philosophy can be split from the specious metaphysical arguments of the day.